The first and only time I met Betty Ford, she and her husband, former president Gerald Ford, were in the front row at an intimate gathering at the famous treatment center bearing her name. And I was the featured speaker. It felt like it should be the other way around. After all, the former First Lady was the nation’s premier advocate when it came to speaking out about the power of addiction and the promise and possibility of recovery. She had been telling her story for years before I even found my way to recovery. But somehow I had been invited to talk about advocacy to the Betty Ford Center’s prominent donors and alumni. When I was done speaking Mrs. Ford congratulated me on a “job well done.” I was over the moon. But she had something to add, after pulling me aside to a corner of the auditorium for a bit of one-on-one fellowship, and counsel. In 1978, when many people were reluctant to discuss addiction, Mrs. Ford acknowledged publicly her struggles with alcohol and prescription opioids. She went on to found the Betty Ford Center in Rancho Mirage and share more than 30 years of recovery with the world — spreading hope like no individual before or since. I didn’t have a chance to see her again before she died in 2011. But since that day we met, I have embraced the spirit of her counsel to do everything I can to help people find a solution to an illness that does not discriminate, wrecks too many families, and kills more people than ever before. This month, on what would have been her 100th birthday, the stakes could not be higher. We find ourselves amid the worst addiction crisis in America’s history, fueled by an opioid overdose epidemic that has spawned innumerable lawsuits and immeasurable sorrow. We also face expanded use of marijuana, huge shifts and uncertainties in health care, and unsavory practices by some in the addiction treatment field. Policymakers are paying attention like never before. Public investments and cultural change are happening around this most pervasive public health problem. But the more action that is taken, the more folks realize how much is left to do—and just how neglected and marginalized addiction has been for generations. 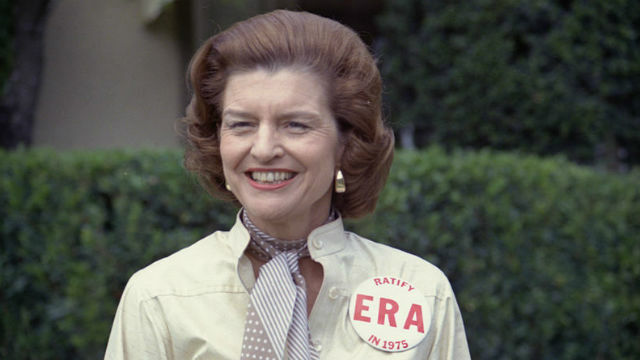 And so the public dialogue Betty Ford so notably kindled in the 1980s continues today, with more urgency than ever. According to a report in the San Diego Union-Tribune, 239 people died from opioids in San Diego in 2016, and border seizures of fentanyl increased by 266 percent. That’s to say nothing of other substance abuse-related deaths, or the many other health and social ills caused by addiction. San Diego is far from alone in facing this scourge. The good news is solutions exist, and more are emerging in pockets across the country. One of those solutions is us — the millions of Americans who were fortunate enough to find hope, healing and help. Those of us in recovery must stand up and speak out to illuminate the human reality of both addiction and recovery. On the centennial of her birth, the greatest gift we can give Mrs. Ford is to carry the message now, when it’s needed most. William Cope Moyers is a best-selling author and vice president of public affairs and community relations for the Hazelden Betty Ford Foundation, which has 17 sites throughout the country, including the Betty Ford Center in San Diego, and is hosting a community forum April 16 at The Nativity School Holy Family Activity Center in Rancho Santa Fe. Registration for the free event is at 6:30 p.m., and the presentation begins at 7 p.m. More info is available at www.hazeldenbettyford.org/letstalk.